We’re in the process of moving…packing up and heading two hours north to our new home in Los Angeles. 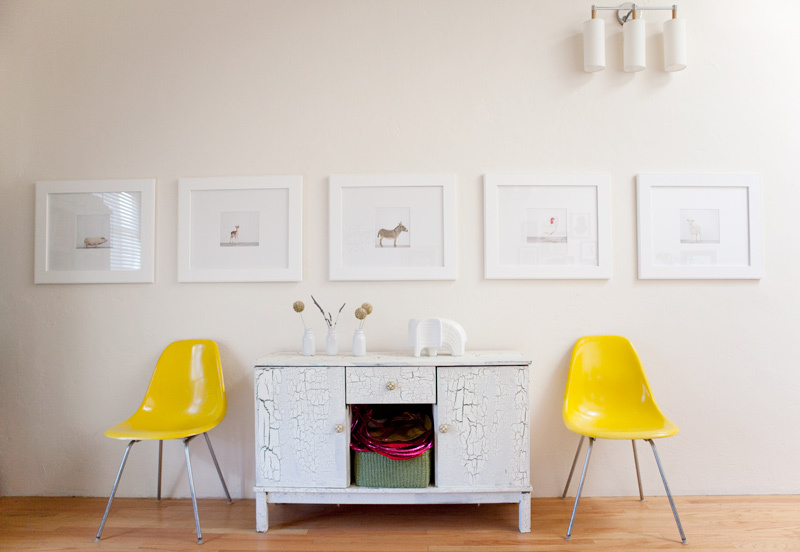 These yellow Eames chairs are Sarah’s BEST EBAY SCORE EVER. She’s been taking pictures of our home and feeling very sentimental as we pack it up. Expect a few more home pictures, and then lots of randomness during this transition. These chairs are great and the picture is wonderful! I love your blog. Stumbled across it looking for yellow eames chair pics. Your photos are terrific! !